My cynical heart’s been won. It was taken, with slight gestures, by a woman more intent on herself than me, but I did get got. Thank you, Violet. You may be a bad actress, but the one who played you was brilliant, and I’ll never forget her. 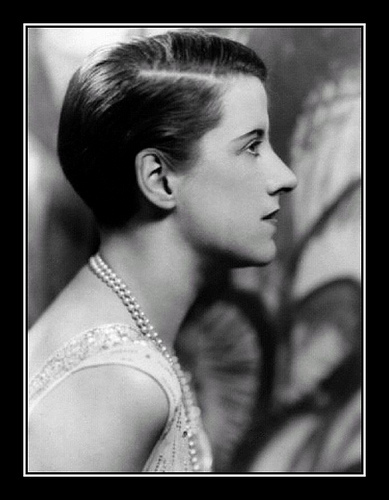 That would be Beatrice Lillie, of Cobourg, Ontario. A major stage star on two continents, Lillie’s career was long and celebrated, yet her list of film credits is short. Having just witnessed her work in Exit Smiling, I truly regret that. Here was Lillie’s screen debut, but a note-perfect performance nonetheless; delicate and blatantly funny, all at once. She got it, completely. She was a natural. Violet, too, seems natural. Normal. Lovable. Useful. Maid, cook, and bit player for a travelling troupe of actors: the impressively named and minimally talented Orlando Wainwright Repertory Company. All its members are down on their luck, I suppose, but they’re a family at heart in a business with few monetary rewards. Their train car looks like a mess tent; they eat together like parents and children would, always bickering but never with intent to harm. To each town they bring the same tawdry, worn-down melodrama, drawing the same mix of rubes, drunks, and kids to watch it. Flaming Women. One Night Only. Tix cheap. Violet’s plight is so, so easy to relate to. She suspects she has untapped talent; longs for it to be recognized; fears to put it to the test but pushes on anyway. She wearies of the toil, but knows that being undiscovered allows for hope, while being discovered and dismissed does not. Violet’s unsure where destiny ends and drive begins. I know how she feels. Viewed objectively, she seems like a fool. The Wainwright Players are hacks, after all; Flaming Women is junk—Violet’s dream to make her name in a terrible play she considers great could have—likely would have—been the central joke in most comedic films. Not here though. Lillie plays Violet not as an imbecile, but as an intelligent, even cagey idealist. Her dream may be foolish, but she’s serious about it, always looking for a way to better her odds. When the troupe picks up a morose young drifter named Jimmy Marsh (Jack Pickford), Violet falls hard and fast for him, but would she leave the troupe if he asked? Hell no. Jimmy has a past, which Violet seems too naïve to ask about. His answer wouldn’t have mattered anyway, so long as he took to life on the road with her now. Jimmy proves to be a natural actor and does indeed join the troupe, but he spends much of his down-time staring wistfully out windows. Violet puts the best face on that—as she’s done, I bet, for many things in her life. Exit Smiling is too one-sided to be a romantic comedy. It’s not a parody either, nor is it satirical, except in its background elements. There’s slapstick, but not the outsized kind that Chaplin and Keaton employed. Violet, a normal person, reacts to physical mishaps with irritation or fear—or tries to ignore them. When she meets Jimmy, she introduces herself as an actor, trying to be casual, buzzing around the wardrobe car like it’s all terribly old-hat to her—then pulls the strings of her robe too tight around her throat. She gags, but only for an eye blink. This conversation is too important to ruin. Beneath this scene—beneath most of Violet’s scenes—is pain and uncertainty. She judges her worth only by what she’s accomplished, and what she’s accomplished is unimpressive, even to her. This is a terrible thing when one falls in love, because then one cannot explain, even to oneself, why that love ought to be returned. This leads Violet to do some goofy things, but deeper down it’s all quite tragic, moreso because Jimmy really is a nice guy. There are no pure villains in Exit Smiling, just people who make bad choices and expect victory when, perhaps, they shouldn’t. 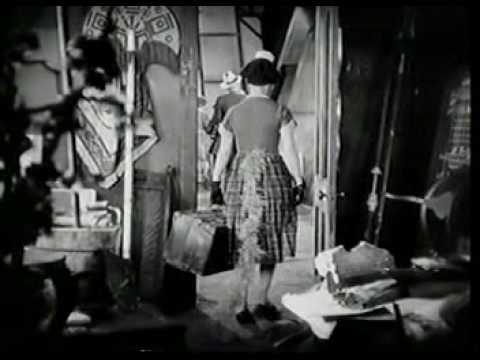 Most of its characters have these flaws, making it simultaneously one of the funniest and most moving silent films I’m ever seen. It’s also one of the most relevant. Not because Exit Smiling is a director’s tour de force, or because it influenced directors and actors who followed (I don’t think it did). Exit Smiling matters because it is a reflection of our times as much as its own. We’ve come to prize aspiration and persistence almost as much as success. Our society romanticizes dreams as though the capacity to maintain one in the face of crushing reality is an achievement unto itself. Visit the self-help section of any bookstore to see the fruits of this. There will be a Violet standing next to you. With this in mind, I hope you’ll find the ending of Exit Smiling as courageous as I did. I won’t reveal it—but you should know that it’s uncompromising, in a way unkind, and unquestionably true. If it’s hard on sweet, wonderful, decent Violet, I guess that’s life. She deserves a big hug, either way. My copy of Exit Smiling is a made-to-order DVD, purchased online from the Warner Archive Collection. 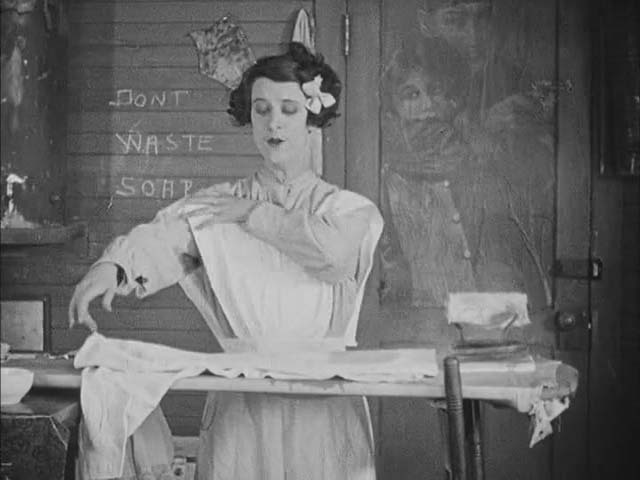 I absolutely love this film, and am truly sad that Beatrice Lillie only made one silent. Wonderful blog; keep up the good work!!! I saw this film last night and I can't stop thinking about it. Beatrice Lillie as Violet was pitch perfect and quite fetching(I thought she looked like she could have been Norma Shearer's goofy kid sister). All true. By the way, Shearer's THE DIVORCEE is my favorite early talkie.